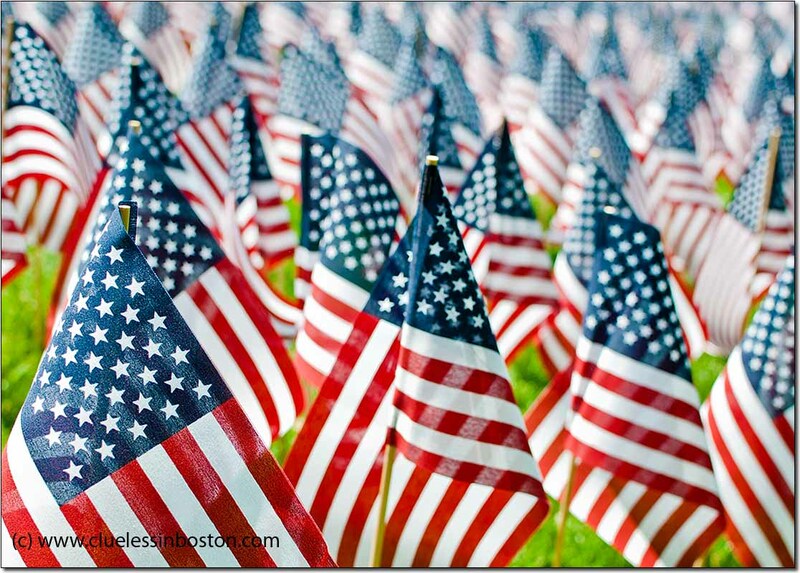 In the United States, Flag Day is celebrated on June 14. It is not a federal holiday, but it commemorates the adoption of the flag of the United States by the Second Continental Congress in 1777. Nice shot, well cropped and with some depth of field, which we don't see so much of in digital photography. The flag is not something we take particularly serious over here in the UK. It's a great photo for today...a sea of flags! An excellent image for this day. Fabulous, Clueless. I did flags today, too, but I declare you the daily winner. I love, love this photo! Great for Flag Day and my birthday! 3 New England guys doing flags today! Such a stunning photo. Congrats.